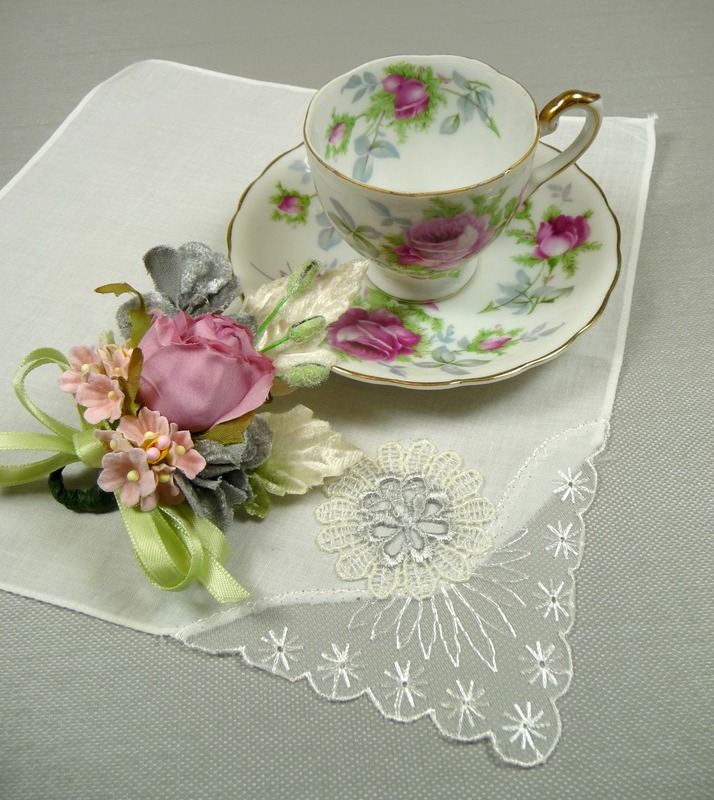 Here is a terrific idea for a Mother’s Day gift she will never forget… I have collected some gorgeous vintage tea cups – and paired them with matching vintage hankies and made mini corsages to match with vintage millinery flowers. 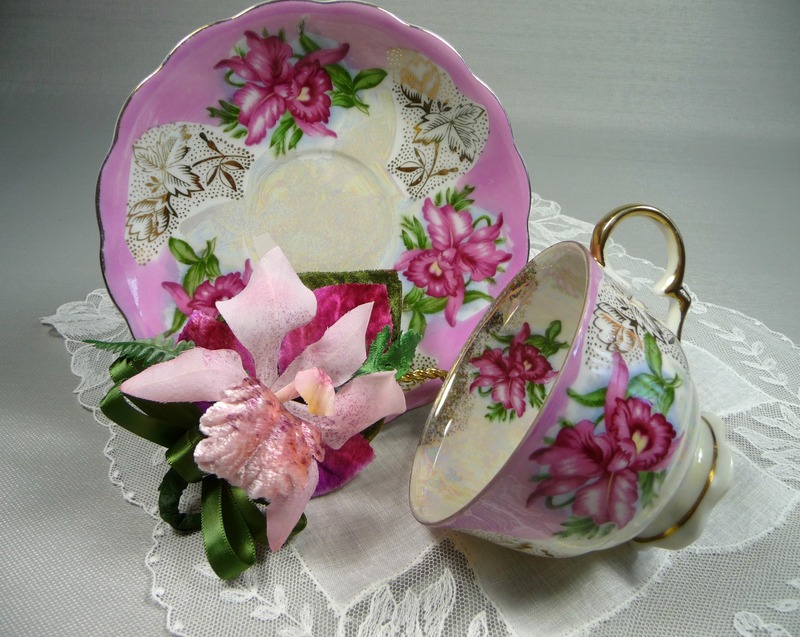 Look at this set – the floral pattern features hand painted orchids, and the lace on the hankie has orchids in the pattern. I found a beautiful vintage pink orchid and made a corsage pin out of it. All will be carefully wrapped together and tucked into a lovely gift box tied with a tulle bow. I’ll also tuck in some vintage-style gift tags so you can write a special note! I also have a number of demitasse cup & saucer sets. The demitasse cups are smaller than standard tea cups, but are just as pretty and are perfect for expresso or hot chocolate. They are so delicate and feminine – perfect for gifting. 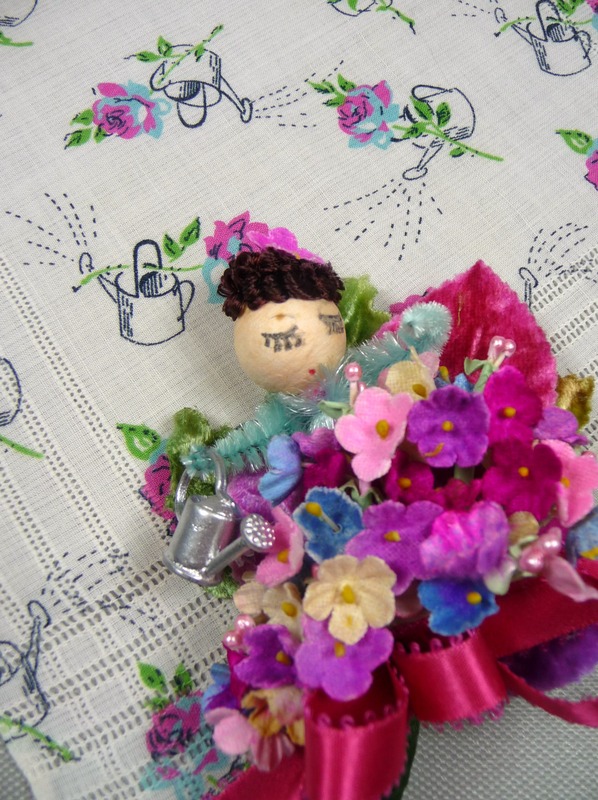 I have paired them up with vintage hankies and corsage pins too. They also come gift boxed. 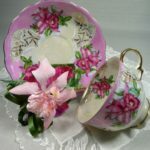 The tea cup / demitasse cup gift sets in my shop are one of a kind gifts and I have taken extraordinary care to ensure that the components are perfectly matched to please the most discrimating Mom! They make terrific gifts, but they are really starting to move, so stop by and select one soon! It’s an affordable gift option at an attractive price – sets range from $30 – $50. 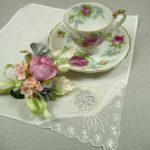 In case you are looking for a Mother’s Day gift without a cup & saucer, consider a matching hankie with a mini corsage or tussie mussie pin. 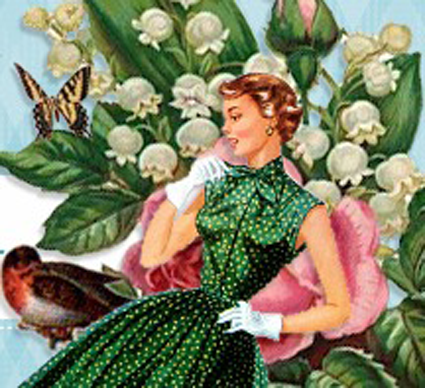 I have a number of lovely vintage hankies with matching millinery pins that come gift boxed and start at just $9.99! 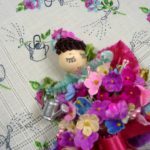 They make wonderful and very affordable gifts – so maybe you can afford to remember Grandma with a special gift too! Stop by the ship and check out the selection!